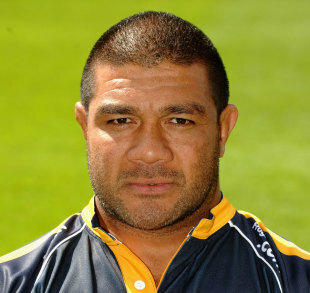 Veteran Worcester prop Tevita Taumoepeau has signed a contract extension that will keep him at Sixways for at least another season. The 36-year-old Tongan has become a firm favourite among Warriors supporters since joining from French club Bourgoin in 2005. Taumoepeau has gone on to make 178 appearances for the club, including 22 so far this season on their return to the Aviva Premiership under Richard Hill. Taumoepeau said: "I am very happy to sign a new contract with the Warriors. We have played well this season and the club has big plans for the future. I have good friends in the squad here and the supporters have always been fantastic with me so I am very pleased to agree new terms and to be able to plan for next season at Sixways."